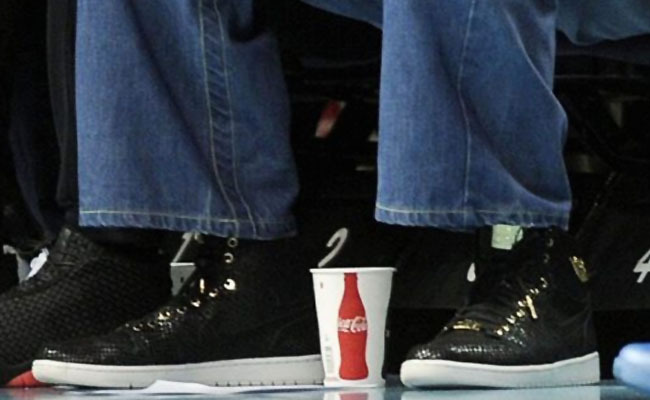 MJ laces up never-before-seen version for final Bobcats playoff game. 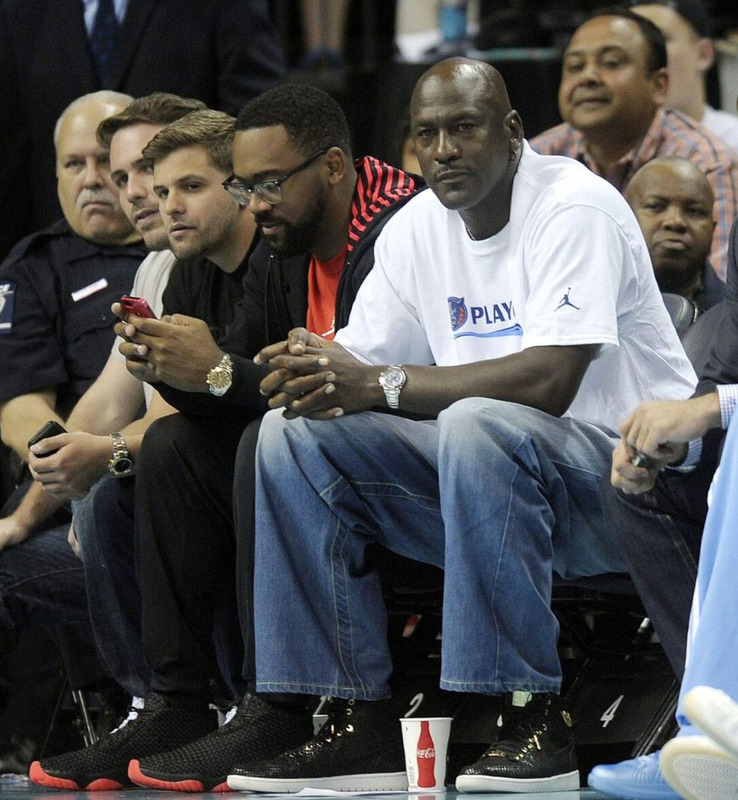 When the Charlotte Bobcats were swept out of the playoffs by the Miami Heat on Monday, team owner Michael Jordan was spotted sitting courtside wearing a playoff t-shirt, #MJDenim and a never-before-seen version of the Air jordan 1. The black-based style appears to feature a textured premium upper with metallic gold hits on the eyelets, lace tips, Wings logo and deubré. Below sits a solid white rubber outsole. Yes, that is his son Marcus sitting next to him in the Black/Red Air Jordan Future. We're not sure if this Air Jordan 1 is an upcoming release or an exclusive pair for MJ. Let us know what you think about the new style below and we'll keep you posted if we hear anything.